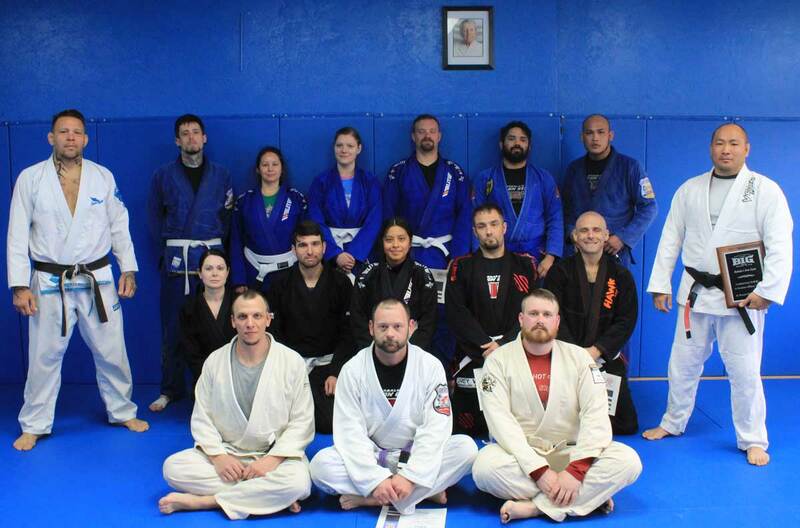 We had a special guest, Professor Renato “Babalu” Sobral from Babalu’s Iron Gym today, for our first BJJ Promotion Ceremony. Professor Babalu gave a special class showing several techniques for the students, along with competition tips. Afterwards, the students sparred, along with a “gauntlet” for “soon-to-be” promoted Blue Belt student, Daniel. At the end of the ceremony, Professor Michael was presented with a plaque from Professor Babalu, awarding the school as Babalu’s Iron Gym’s Premier Affiliate School.